Preheat oven to 400 degrees. Stir together olive oil, salt & white vinegar. Brush over turkey breast. 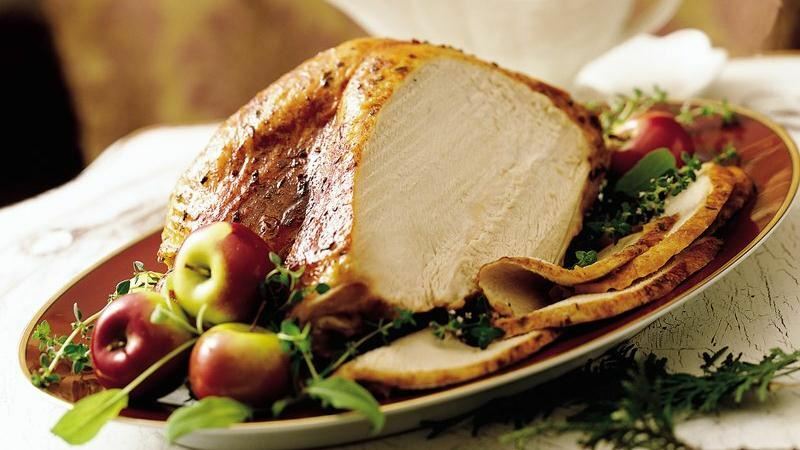 Roast turkey breast until thermometer reaches 140 degrees (about 30 minutes). Let rest 15 minutes. Slice as needed.